Books are still one of the best gift to children, and they have a very positive affect on moulding minds. 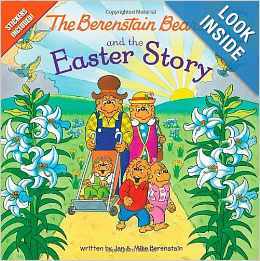 We have carefully categorized some good, educative and interesting Easter books, which will also be liked by Adults. They are inexpensive, and brought to you by the Reliable Amazon.com. So go ahead and buy, gift as many books as you want. Know Someone who might be interested in buying Easter and other books? Send this page by clicking here. We have teamed up with Amazon to give you the best of Easter books in the cheapest possible prices. Apart from story books, there are also activity books, videos and movies. To check them out, just click here or on the link below. And yes, you will also help us when you buy from them.